Postponed. We will be going dark in November and Daniel's program will be rescheduled for 2018. We apologize for any inconvenience and disappointment. You've spent the entire year helping other people develop their skills, but how much time have you dedicated to your own personal development? Have you had to deal with any sort of change this year, either personally or professionally? If so, this event is for you. If not, you're probably resisting the change you should be experiencing, so you need to attend as well! We know change is constant, but what separates those who thrive from those burn out? In this monthly learning event, explore the secrets of those who manage change successfully. We’ll learn the three secrets that unveil resiliency and effectiveness, empowering you to face any change process with the mindset for growth. We will define the common pitfalls that inhibit our ability to manage change, and develop strategies to overcome those pitfalls. 1. Learn the top 3 secrets tools to manage change successfully. 2. Define the common pitfalls that inhibit ability to manage change successfully. 3. Develop personal strategies to help re-frame change opportunities as powerful learning and growth experiences. Join Daniel for this inspired program. Daniel Lobb, is co-president of TRP, consulting with dozens of clients and supporting hundreds of trainers. He received the Certification in Workplace Learning and Performance (CPLP) from the Association for Talent Development (ATD) where he serves as an Advisor to Chapters and is a former president of the Piedmont ATD Chapter. His clients include American Express, Carolinas Healthcare, Novant, ESPN, Unilever, Pepsi Bottling Ventures, and many others. Recent speaking engagements include the ATD Leadership Conference, IL SHRM Conference, Garden State SHRM Conference, Unity People's Convention, Bank Trainers Conference, NC Nursing Association Leadership Conference, ATD New England Regional Conference, National Association of Workforce Development Professionals (NAWDP) Annual Conference, and the Gulf State Symposium on HR. 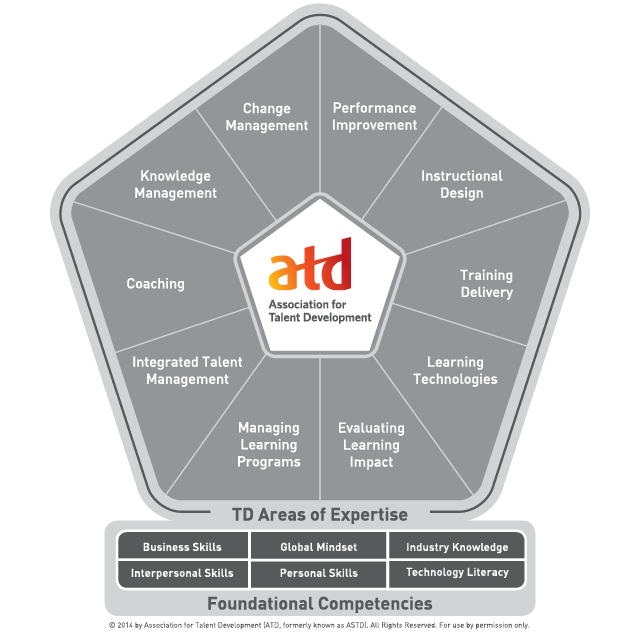 Take your knowledge to a new level and get access to exclusive info about the Competency Model for ATD members by becoming a Power Member (member of the Orange County Chapter and ATD). Find out more here.